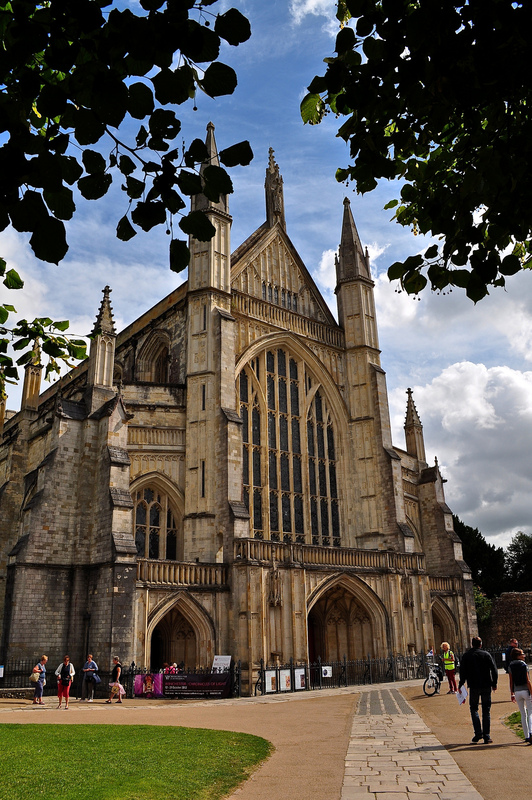 Let’s go to Winchester to see the cathedral said Bob one summer’s day so off we went to see possibly the most beautiful ecclesiastical building I have even seen. Walking towards the cathedral from the town through an avenue of shady limes, you are suddenly presented with a building of such overwhelming size, it tends to take your breath away – no doubt the intended reaction of the architects. The current cathedral was built on an even older one which was demolished to make way for its advancing works – and for its very stones to be reused in the newer building. You can trace the outline of the old minster, dating back to around AD648, outside the entrance. 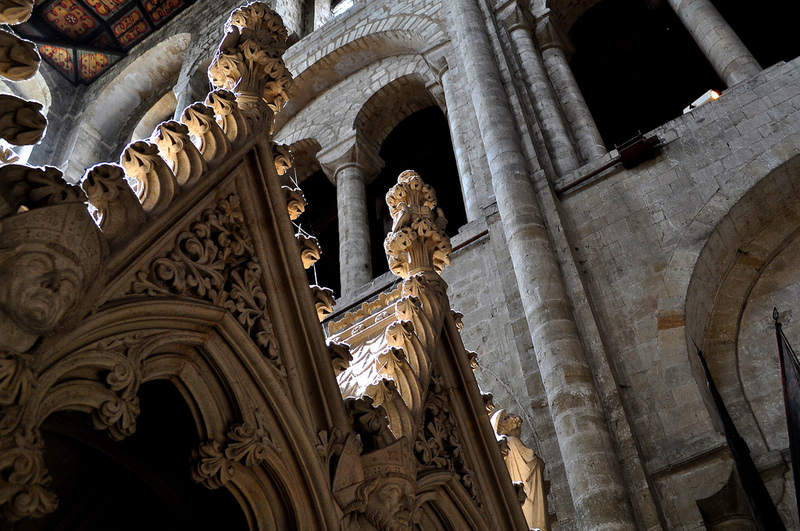 The succeeding Norman cathedral, opening around 1093, has itself been reworked in medieval times. 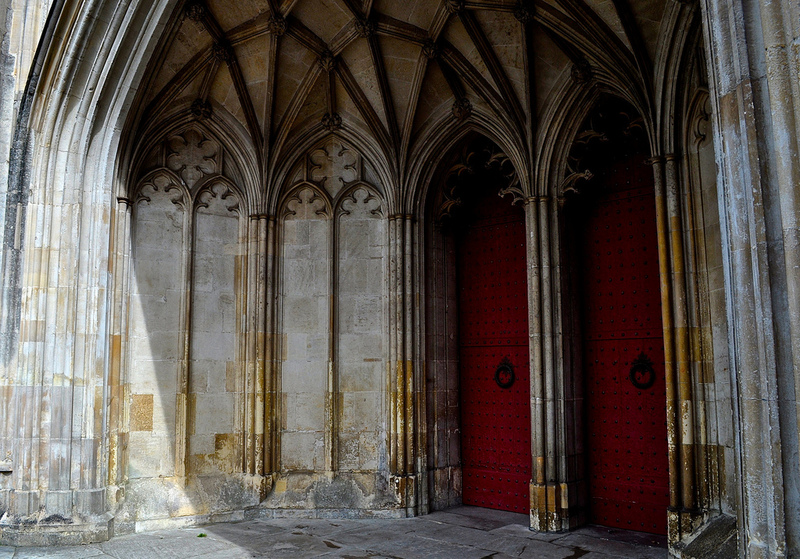 It feels ancient, you almost sense the passage of time here and the many important historical figures that have passed through its grand doors – Saints, Kings and commoners alike. 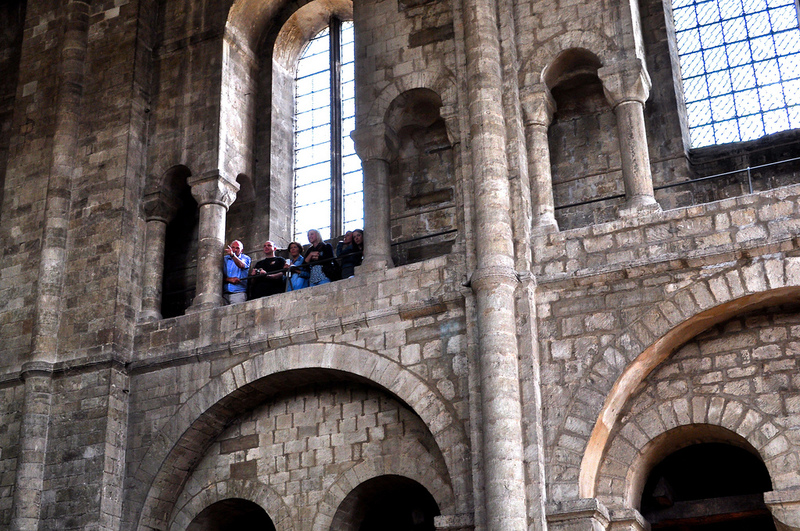 The intent to impress and dominate by William the Conqueror and his architects is evident with his Romaneque transept. Wonder increases when you take in the splendours of the Perpendicular Gothic, the soaring height of the slender arches simply takes the breath away. It’s a building that has overcome the problems of being built so close to the water-table and the accompanying subsidence which still causes concern here. 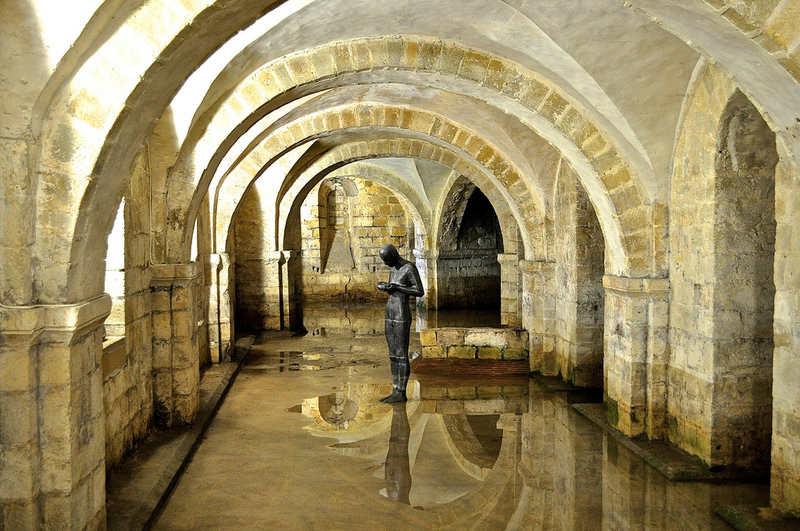 It works to advantage however in the crypt, when viewing Antony Gormley’s pilgrim at prayer – Sound II, reflected in the flood waters. My suggestion is to take one of the guided tours to show you the highlights of this spectacular building and spend a few hours here at least, wandering about the nooks and crannies. So what are the highlights then? 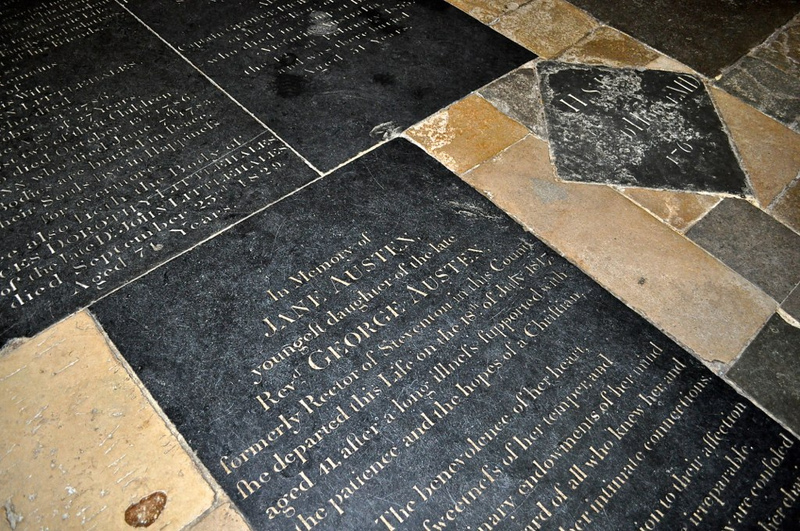 Well, it’s hard to choose just a few things to see but I suppose the two Jane Austen memorials are a definite visit – one which mentioned her oeuvre, one which didn’t. As she died here in Winchester, one should pay one’s respects. 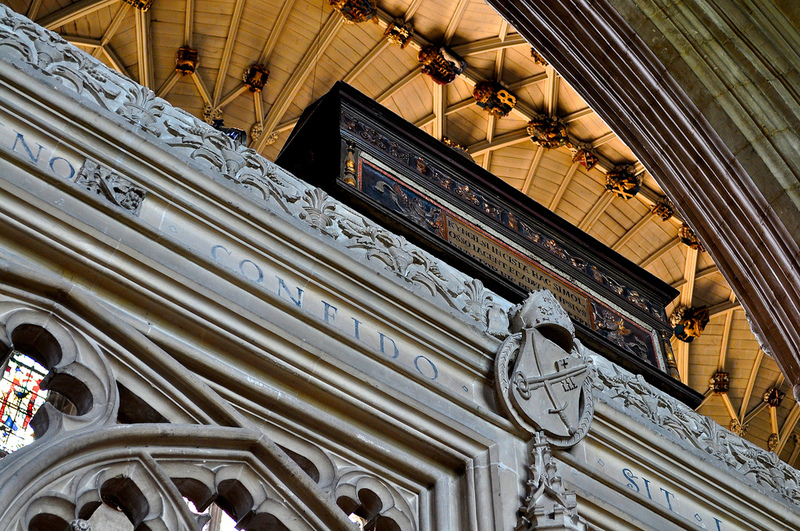 I was particularly intrigued by the mortuary chests which, we are told, hold the bones of pre-conquest monarchs and bishops as well as the bones of William II (Rufus). 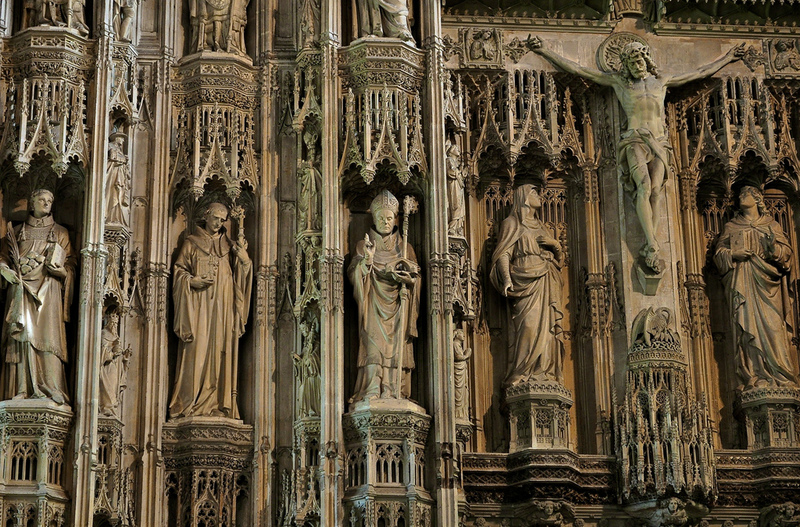 The medieval Great Screen, originally dating from between 1475 and 1490, is a must see. 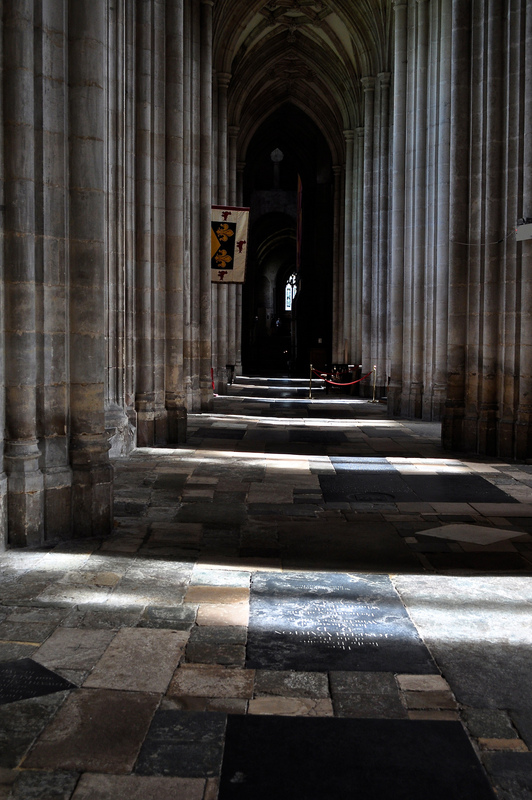 What you see today is probably from the late 19th century but the damaged statutory which you would originally have seen here can be viewed upstairs in the Triforium Gallery – destroyed by Henry VIII’s vandals in the reformation. 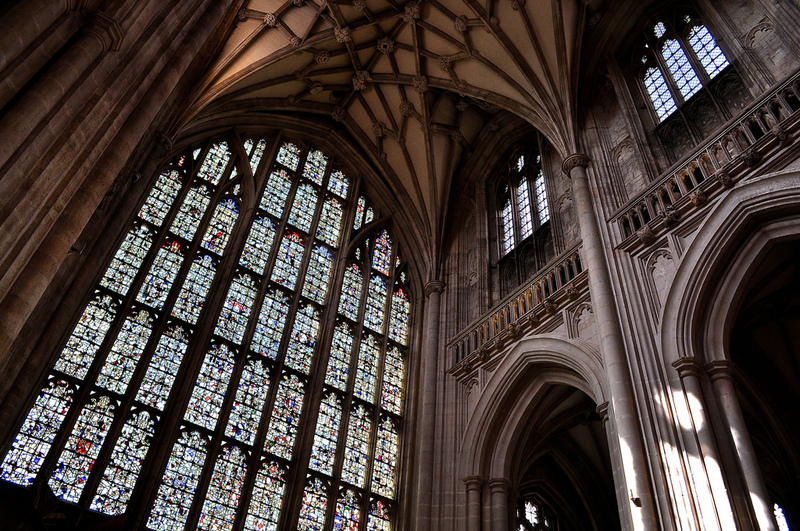 We visited the cathedral’s library to see a glimpse of the great twelfth century Winchester Bible and its illuminated script – then took tea in the nearby cathedral cafe – a chance to reflect after a mesmerising visit. 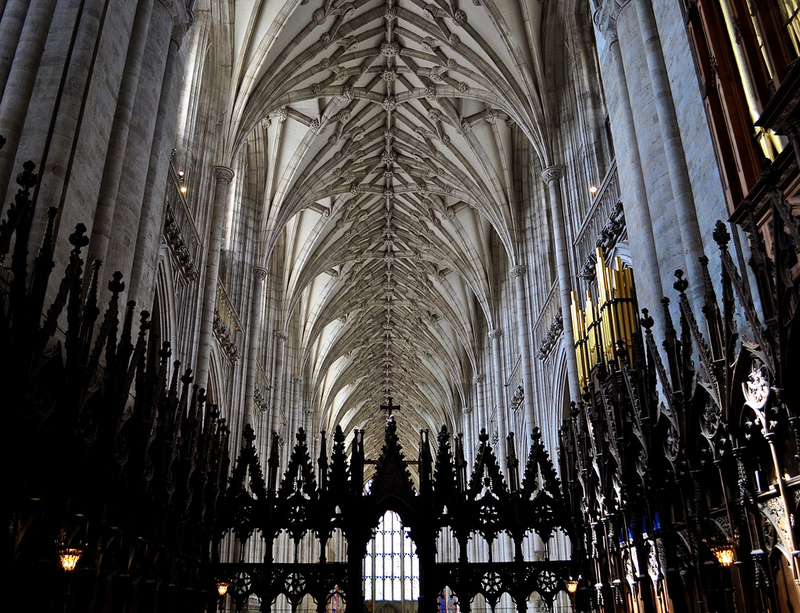 If you only ever visit one cathedral, let it be Winchester’s. 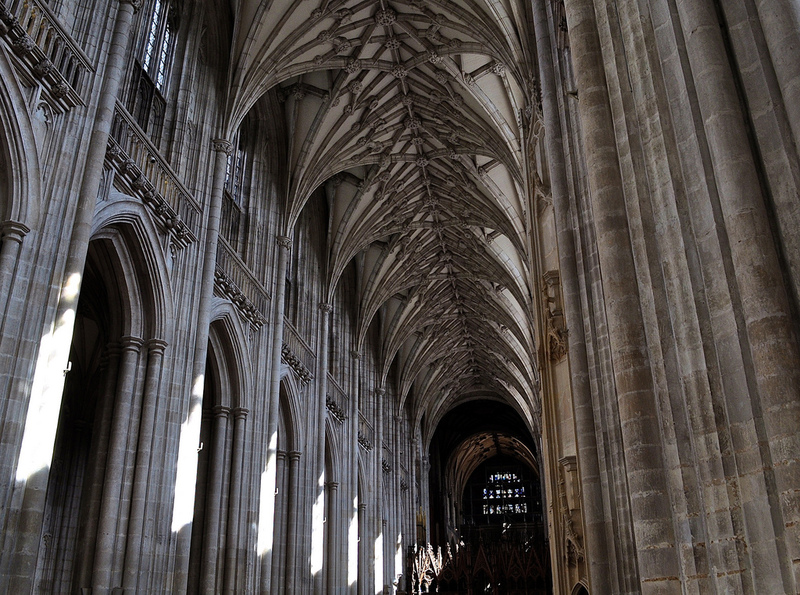 Join over 300,000 annual visitors to Winchester Cathedral and help their appeal for funds to maintain this priceless treasure at just GBP7.50 per adult which includes a guided tour and repeated entrance over a year. Let it be around for another 1,000 years.